Some governments both prioritize urban growth and curtail rural development. Such policies can free land for farming, by stopping the sprawling construction that is common in the countryside9. 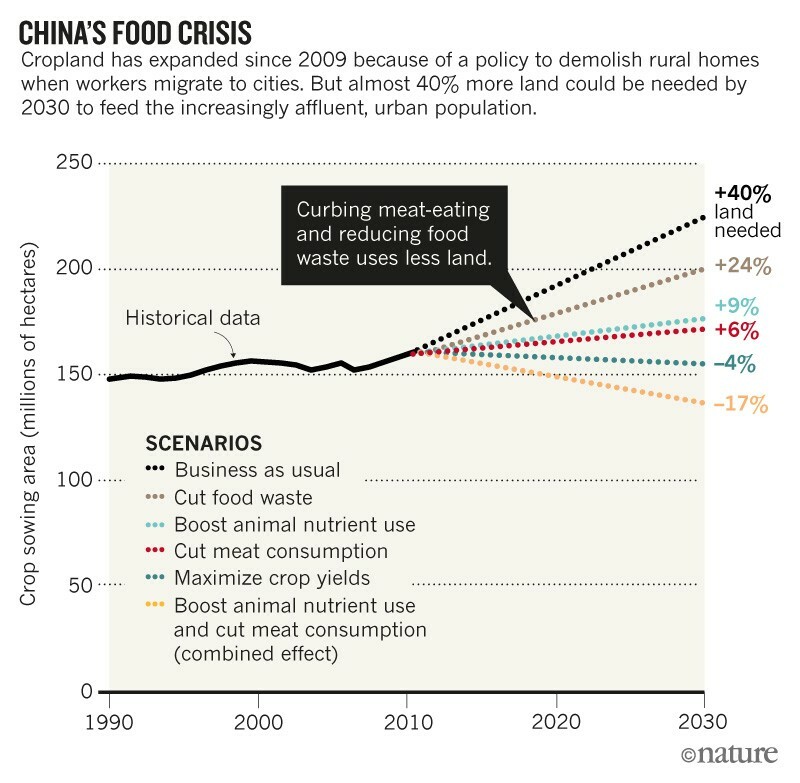 Yet in 2010, China paved over four times more land in rural areas than it built on in cities, even though less than half of its population lives in the countryside. Consolidating large areas of rural land allows the use of more intensive farming methods and results in higher yields. Small farms have to use more fertilizers and pesticides to increase their crop yields, causing environmental harm and pollution11. Urban and industrial development can boost food production in other ways, by providing fertilizers, irrigation and productive crop varieties, for example12.